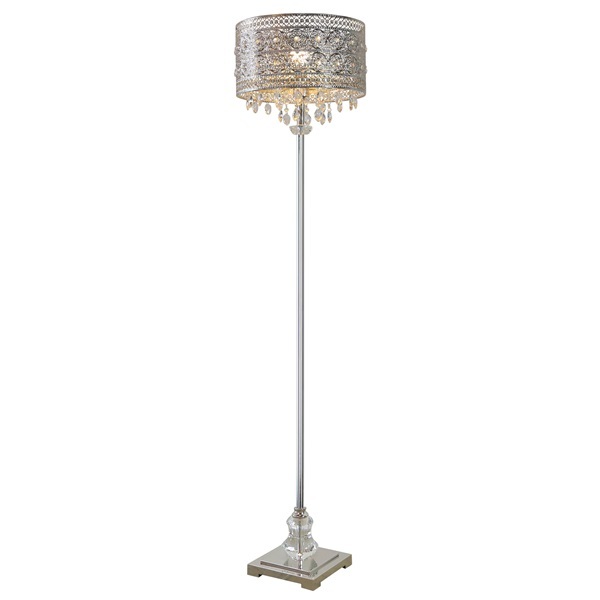 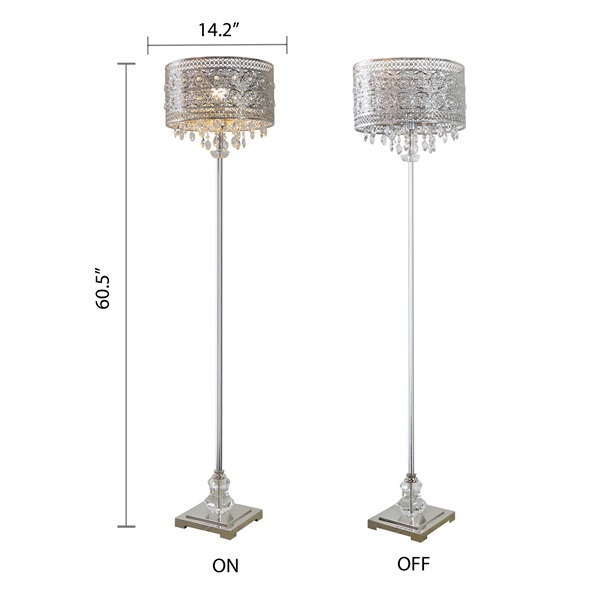 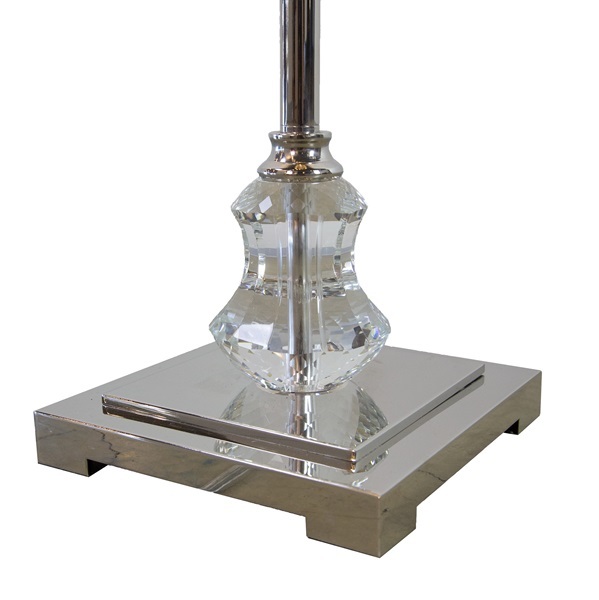 Make a statement with this polished nickel and K-9 crystal jewel 1-light floor lamp. 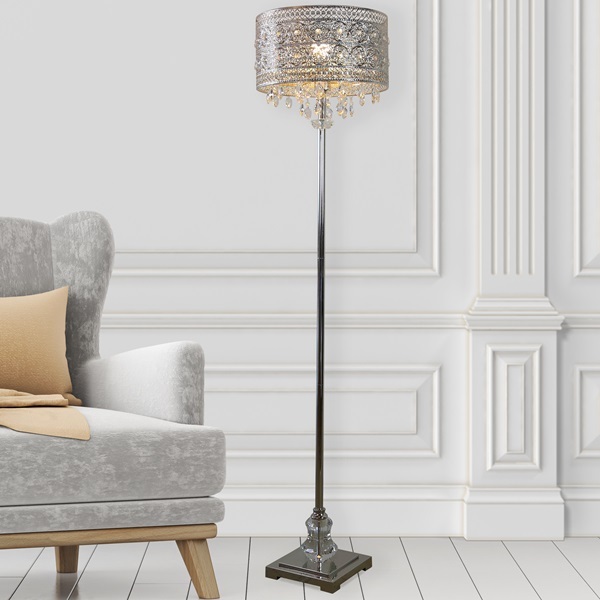 Showcasing a square polished nickel base, this 60.5"H floor lamp is perfect for modern or glam decor styles. 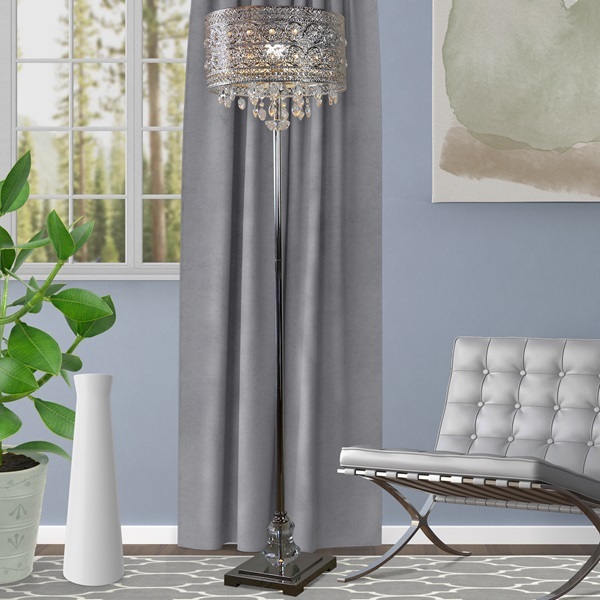 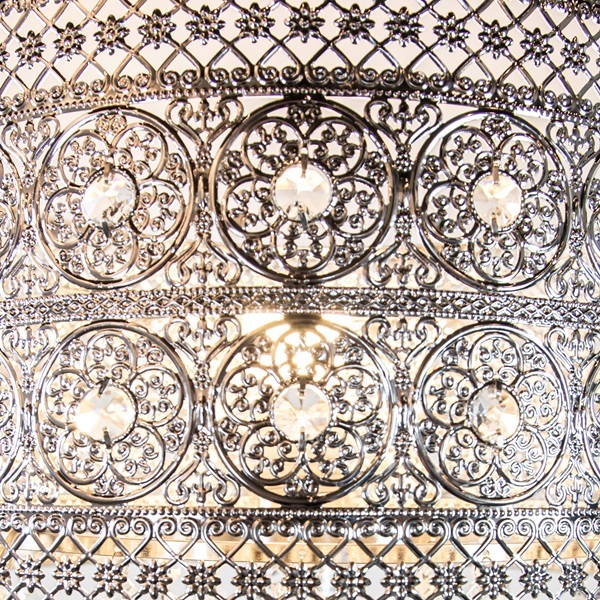 The shade features a polished nickel medallion pattern, with multi-layers of more than 65 hanging faceted clear K-9 crystal jewels on the inside of the shade. 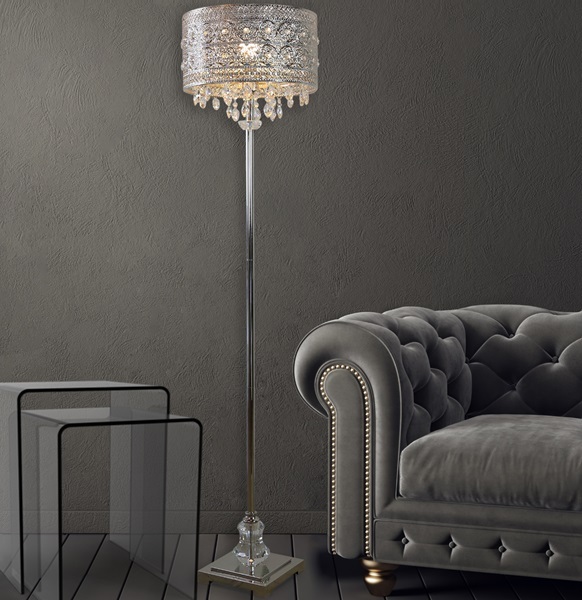 A luxurious piece for your living room, bedroom or office space.